Is there a better alternative to 5BR3C? Is 5BR3C really the best app in Developer Tools category? Will 5BR3C work good on macOS 10.13.4? 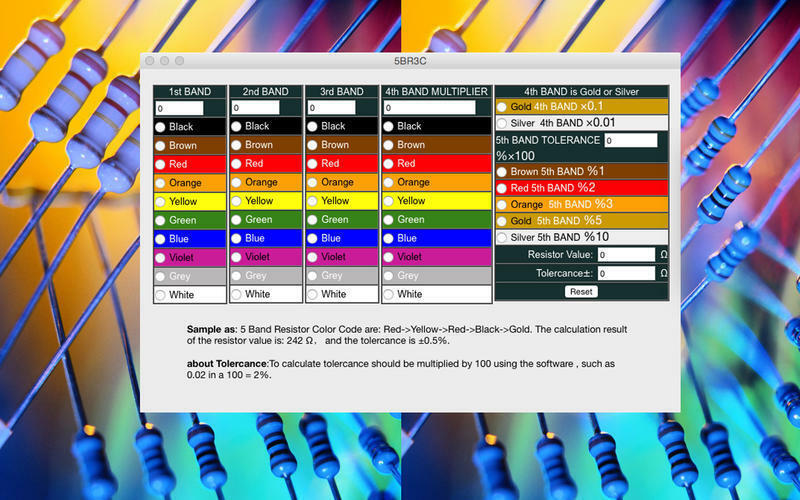 5BR3C is a 5-band resistor color code calculator. It lets you easily identify the colored ring resistance, do not know how to see the colored ring resistance of the resistor can be calculated, as well as colored ring resistance readings and colored ring resistance of notation, etc. From the above that, read the fourth color is gold or silver rings must pay attention, because it is multiplied by a negative number. 5BR3C needs a rating. Be the first to rate this app and get the discussion started!